The Middle States Google Site is open (click here). On the site you will find documents relevant to our self study process. Your will also find a link on the left titled, "Self Study Draft". If you click on this tab you will find the Self Study Draft at the bottom of the page, as well as a list of compliance documents. In the middle of the page you will find instructions and the link for feedback. The link for feedback will be open until October 31. We scheduled forum sessions to collect your feedback. That schedule can be found below. This feedback period is the final window of opportunity for your participation in the preparation of this document. The campus visit by the evaluating team is scheduled for February 28th-March 2, 2016. 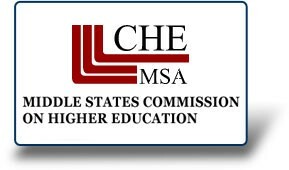 The Middle States Google Site is open (click here).